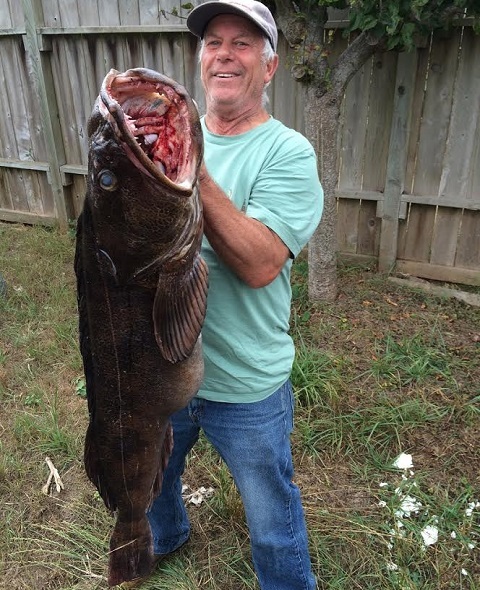 Jim Hartman landed this 41-inch, 34-pound ling cod near Cape Mendocino last Friday. 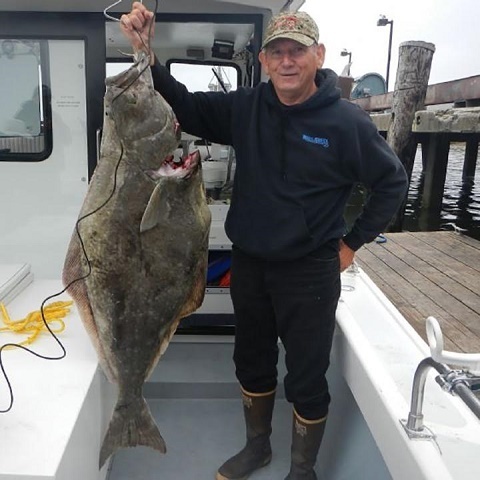 In the Northern Management area, which includes all of Del Norte County of most of Humboldt, rockfish season for boat-based anglers will remain open through Oct. 31. The adult salmon quota on the Upper Klamath River is close to being met, which will set forth new restrictions beginning next week. According to Sara Borok, Environmental Scientist on the Klamath River Project, monitoring efforts show that anglers above the Highway 96 Bridge in Weitchpec will have caught their quota of 189 adult fall-run by sundown Wednesday, October 5. After the quota is met, anglers will still be able to fish in this area, but must release any Chinook longer than 22 inches. On the Trinity River, the quota is 183 adult Chinook from the confluence with the Klamath River up to Cedar Flat, and 183 adult Chinook from Cedar Flat upriver to the Old Lewiston Bridge. These quotas have not been met and remain open to the retention of adult king salmon. Anglers may keep track of the status of open and closed sections of the Klamath and Trinity rivers by calling 800-564-6479. It probably won’t do much for the main stem river levels, but the ground should get its first soaking of the year this weekend. According to Reginald Kennedy of Eureka's National Weather Service, light rain will fall on Saturday, with heavier rain forecasted for Sunday. “On Saturday, Del Norte could see up to a half-inch and less than a quarter inch will fall in Humboldt. An inch could potentially fall in Del Norte on Sunday, with another half to three-quarters falling in Humboldt County. Showers will linger on Monday and Tuesday, then it looks dry through the next couple weeks,” Kennedy added. The Chetco River fall Chinook bubble season, which will be halved and split over two weekends in 2016, opens on Saturday. The recreational season will be Oct. 1-3 and Oct. 8-9 so more anglers can take advantage of the weekend dates. The fishable area is within three nautical miles of shore between Twin Rocks and the Oregon/California border. The bag limit is two Chinook per angler per day, but no more than one non fin-clipped Chinook per day. Minimum length is 24 inches and the terminal tackle is limited to no more than two single point barbless hooks. For more information, visit here. The weekend forecast looks fishable, though the swells are likely to build on Sunday. Friday’s forecast is for winds out of the SW up to 5 knots, with swells 5 feet at 12 seconds. Winds will blow out of the SE 5 to 10 knots on Saturday, with W swells 5 feet at 12 seconds. Sunday is looking a little rougher, with winds out of the S 5 to 10 knots and NW swells 6 feet at 9 seconds and SW 2 feet at 16 seconds. For an up-to-date weather forecast, visit weather.gov/eureka/. To monitor the latest Humboldt bar conditions, visit wrh.noaa.gov/eka/swan. You can also call the National Weather Service at 707-443-7062 or the office on Woodley Island at 707-443-6484. North Coast rivers regulated by low flow closures, including the Eel River, Mad River, Mattole River, Redwood Creek, Smith River and Van Duzen River will begin angling restrictions on October 1st, except for the Mad River, which went into effect September 1st. Mad River: The main stem Mad River from the Hammond Trail Railroad Trestle to Cowan Creek. Minimum flow: 200 cfs at the gauging station at the Highway 299 bridge. The main stem Eel River from the paved junction of Fulmor Road with the Eel River to the South Fork Eel River. Minimum flow: 350 cfs at the gauging station near Scotia. The South Fork of the Eel River downstream from Rattlesnake Creek and the Middle Fork Eel River downstream from the Bar Creek. Minimum flow: 340 cfs at the gauging station at Miranda. Van Duzen River: The main stem Van Duzen River from its junction with the Eel River to the end of Golden Gate Drive near Bridgeville (approximately 4,000 feet upstream of Little Golden Gate Bridge. Minimum flow: 150 cfs at the gauging station near Grizzly Creek Redwoods State Park. Mattole River: The main stem of the Mattole River from the mouth to Honeydew Creek. Minimum flow: 320 cfs at the gauging station at Petrolia. Redwood Creek: The main stem of Redwood Creek from the mouth to its confluence with Bond Creek. Minimum flow: 300 cfs at the gauging station near the Highway 101 bridge. Smith River: The main stem Smith River from the mouth of Rowdy Creek to its confluence with Patrick Creek; the South Fork Smith River from the mouth upstream approximately 1000 ft to the County Road (George Tyron) bridge and Craigs Creek to its confluence with Jones Creek; and the North Fork Smith River from the mouth to its confluence with Stony Creek. Minimum flow: 600 cfs at the Jedediah Smith State Park gauging station. Alan Borges of Alan’s Guide Service reports the mouth is open, and we’re seeing small spurts of fish push in. 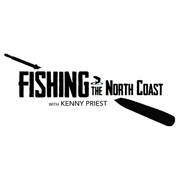 “The number of fish we’re hooking has been real inconsistent. One day we’ll hook 10, and then we’ll go a few days only hooking three to five. I think there just coming up in small batches. Even with the flows being reduced, the water is in great shape,” Borges added.